The Samsung Gear S3 has been announced, making it the latest flagship smartwatch to be unveiled. 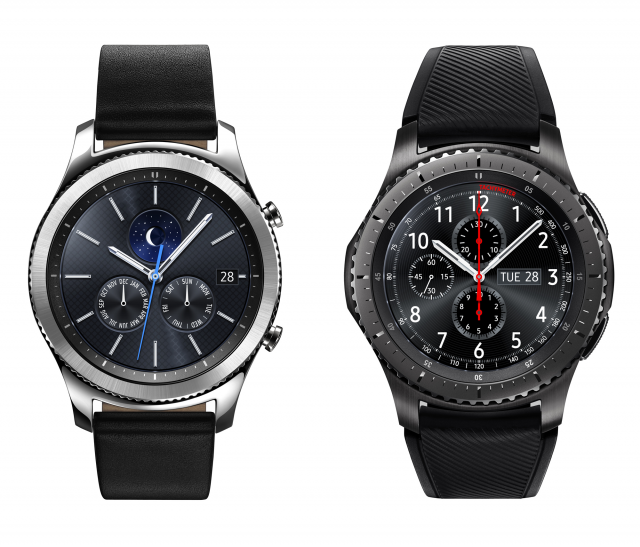 The device comes in three different models, but the biggest difference is between the appearance of Gear S3 Classic and Gear S3 Frontier (and the fact that the Frontier has optional LTE connectivity). Let’s first take a look at the specs they have in common and then point out some key differences. As you can see the biggest difference between the two watches are the appearance with the Classic appearing as more of a traditional timepiece whereas the Frontier is more of an active lifestyle fitness band, and the ability for the Frontier to pack LTE inside. The other internals remain more or less unchanged although the Frontier is ever so slightly heavier. Which would you buy: the Gear S3 Classic, Gear S3 Frontier, or Gear S3 Frontier LTE?